Greetings WSC Members! Everything is going well at the club. We hope you’ve been by recently to shoot. We have several exciting updates for you in the way of events and training. Full descriptions are available on the website via the link below. Our instructors are also available for private lessons if you’d like to work on a particular skill or technique. Please check out the new classes and schedule online, or call Lisa at the Academy directly at 508.808.3532. We are excited to let you know that our FFL Services are up and running. If you’d like to have a firearm shipped to us for transfer, please call the club or send us an email. Once we give you the OK, have the shipping dealer contact us so we can send them a copy of our FFL. Transfers will be handled by appointment at the club. The fee for transfers is $25.00. As you may know, ammo is now available for sale at the club. Forms are available in the lounge and locker room that you can fill out and we will deliver to your locker. If you don’t have a locker, we’ll set an appointment for pickup. It is our goal to provide you with unrivaled convenience by having ammo available at the Club. We have set our prices to be competitive with other local shops, and would love to earn your ammo business! The club has been getting some additional publicity in the past few months. 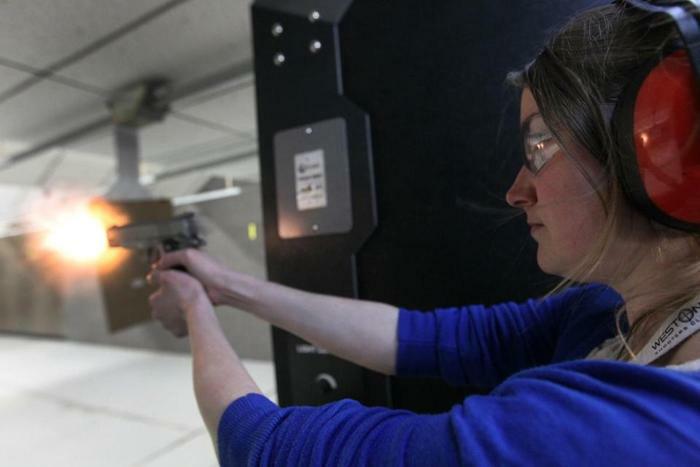 Most recently, Victor, Leo and Becca were featured prominently in a story in the Globe on Monday detailing an uptick in gun permits issued last year. A lot of the increase has to do with the licensing law changes, but WSC was showcased as an example of more people taking interest in the sport of shooting. The article is featured on our Facebook page. Regarding access to the club – all members are reminded that nobody should be let into the club unless they have a working access card or are guests being escorted by a member. Members having trouble with their access card should call the club phone number (508.343.8972) or email us to set an appointment to fix the card. If someone shows up and wants to see the club, please politely refer them to the website where they can submit a contact request, or they may call the club to schedule a tour. Please do not let anyone in to let them look around. Lastly, just a friendly reminder to please make sure to sweep up all brass located on the tile when finished shooting. You can leave all brass forward of the firing line in place. While the vast majority of members clean up after themselves, some have forgotten to do so. We appreciate your cooperation in keeping the range a safe and clean place to shoot. Our first ammo shipment has arrived! We have 9, 38, 40, 45, 223 (not for use at the club), and some 22 available. We are still working on supply for some of the more exotic calibers. The vending machine is fully stocked, and we will be contacting everyone who previously placed orders to arrange locker delivery or pickup. Please keep WSC in mind for your ammo purchases. Our prices are competitive with the local gun shops. We have appointed Ralph Bibbo as Chief Range Officer. Ralph will be available at the club periodically to assist members. He will also be scheduling and conducting a series of safety briefings. These will be scheduled for Saturdays in January and February. Due to several instances of gun handling issues, rifle and shotgun shooting, and other rules violations, we are going to require that all members attend one of these safety briefings. By the end of February, any member who has not attended a briefing will have their access to the club temporarily suspended until they attend. We feel that this is in the best interests of all members and the Club, and we appreciate your cooperation. Exact schedule will be available later this week on the events page on the website. Going into 2015, we have made several changes to the membership structure of the club. We have removed the Gold membership package, and we have increased the annual dues for Platinum and Founder members to $500. Any new member who has applied in 2014 will have until the end of January to complete the membership process with the 2014 packages and pricing. Additionally, all current members of the club as of January 1 will renew in 2015 at current pricing. If you haven’t completed the membership process yet, please visit the link below to book a New Member Meeting appointment. There are a number of dates available in January. We have some great Weston Shooters Club clothing available for the cold months… gray and white long sleeve t-shirts and black quarter zip sweatshirts are available for purchase at the club. If you are interested, please email or call. We can place them in your locker or arrange for pickup. Please remember to clean up your shooting station when finished. Police brass located in the tiled area. Any brass in front of the firing line should be left – for safety reasons, members are not allowed down range. Please discard used targets, ammo boxes, staples, etc and leave the range clean. Management and your fellow members appreciate it. We thank you for joining Weston Shooters Club! We appreciate your support in 2014, and look forward to 2015 being a great year for WSC. We wish you all a safe and prosperous new year (with plenty of trigger time)! Thanks to everyone who attended Bill’s Basic Wound Management class this weekend! Due to high demand, Bill has added an additional class Sunday 11/23 at 10:00 am. He promises to have you home in time for the 1:00 Patriots kickoff. Please register on the training page. We wanted to share a new training class that the club will have available – Basic Wound Management. This class is being taught by Bill Carlo, an Iraq War Veteran and Massachusetts EMT. The class is approximately two hours long consisting of video instruction and hands on training. Instructions will be provided for self-aid as well as the aid of others. Some of the videos in the class do contain graphic images. Medical kits have been placed at the Shooters club in case of emergency. Individual kits will be available for purchase from the Weston Shooters Club. The first class is this Saturday 11/15 from 3-5pm. If you’d like to register for this class, please visit the training page. We have made the determination to open the range on Tuesday morning at 9:00. The ventilation in the range is now working, but the automatic on/off feature still needs some work on Monday. Additionally, at some point later next week, the range will be closed for half of a day while additional speed controls are added to the ventilation system. Presently, there is too much air flowing and we need to get everything balanced out. Please check the website to make sure the range is open before making the trip to the club. Exhaust fan drive components were replaced today. System is much closer to normal, but not quite there yet. They are going to put in different size drive wheels tomorrow and we’ll post an update as soon as we have one. Also, we just scheduled a number of training classes for November. If you’re looking for a class, please check out the training schedule.